OK, so my title is a little misleading. Let me start at the beginning. Melissa’s (http://www.melissas.com/) offered another challenge to the San Diego Food Bloggers. The timing was a little tough due to the craziness of the Holidays, and Melissa’s pushed our creativity to the next level. We had to use all of the ingredients and create two recipes: one savory and one sweet. I was on board. I can’t thank Melissa’s enough for giving us the opportunity once again. I received my complimentary box of goodies containing a one pound bag of Mandarin oranges, two Korean pears, bag of Baby Dutch Potatoes, steamed chestnuts, steamed baby potatoes, steamed beets, peeled and steamed baby potatoes, seedless grapes, and a cookbook all about Baby Dutch Potatoes. I gave myself a few days to figure out the direction I wanted to go with all of the items. 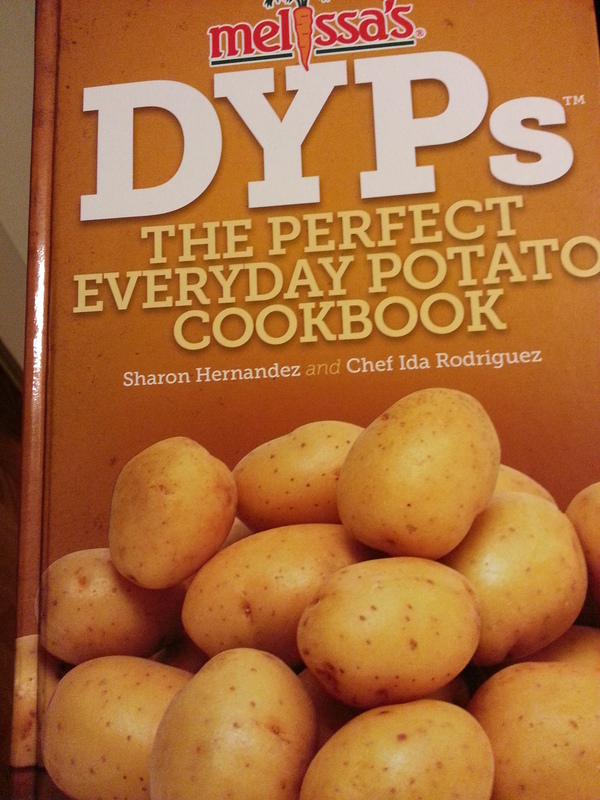 I browsed the cookbook I received. I had some ideas, and then my wallet was stolen. Aargh. I am still talking with different companies and the police, so my creativity took a little hit. I felt like grabbing a burrito at La Posta (http://www.yelp.com/biz/la-posta-de-acapulcos-san-diego-2) and a growler from Societe Brewing Company (http://societebrewing.com/) instead of cooking and writing. I started with dessert. I needed something sweet! 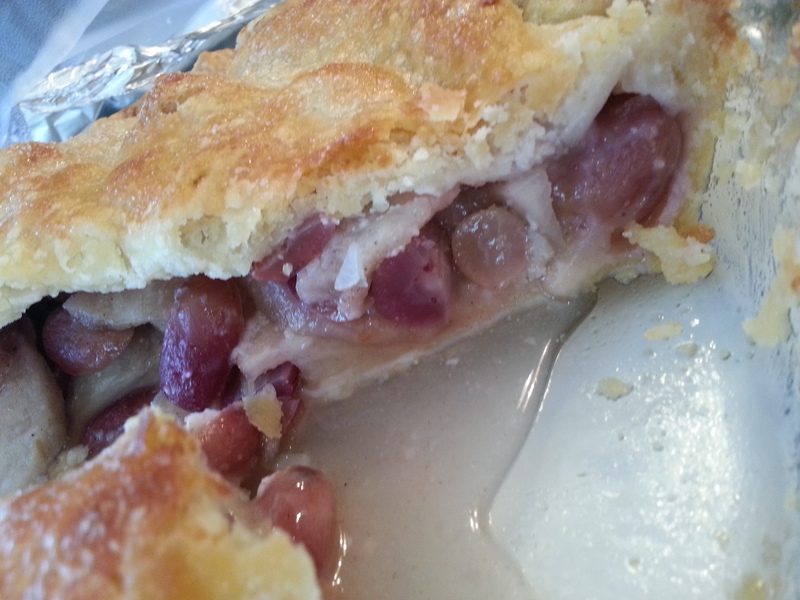 I decided to make a Korean Pear and Grape Pie. I had eaten a Korean Pear before, but I had no idea how it would bake. This is where the “Don’t Try This At Home” comes into play. The pie tasted really good, but it looked like a wet mess. So sad. Korean Pears are unbelievably juicy. Maybe that was where I went wrong. Maybe I needed to add more flour to the fruit mix, or maybe I should have sautéed the pears to extract some of the liquid? Let me know your thoughts! The produce was delicious, and the pie was really tasty, it just should have held together better. I wish I had more time to try this again, but time was short. I’m making sure to put “Time” on my wish list to Santa! Preheat oven to 400 degrees. For the crust, sift together flour and salt into a mixing bowl. Combine oil and milk, but no need to mix, into a small bowl. Pour oil and milk into the flour mixture. Stir just until the dough comes together. DO NOT over mix!! Divide dough in half, and shape into 2 round balls. Roll dough between two sheets of wax paper to form 12 inch rounds. Transfer one disk to a 9.5 inch glass pie pan, removing and discarding the wax paper. Create the filling by mixing together the 1 1/4 cups sugar, flour, nutmeg, and cinnamon in a large bowl. Add sliced pears and grapes, and toss until evenly coated. Fill bottom crust with fruit mixture and place diced butter on top. Cover with the remaining pastry round, discarding the wax paper. Crimp edges to form a seal. 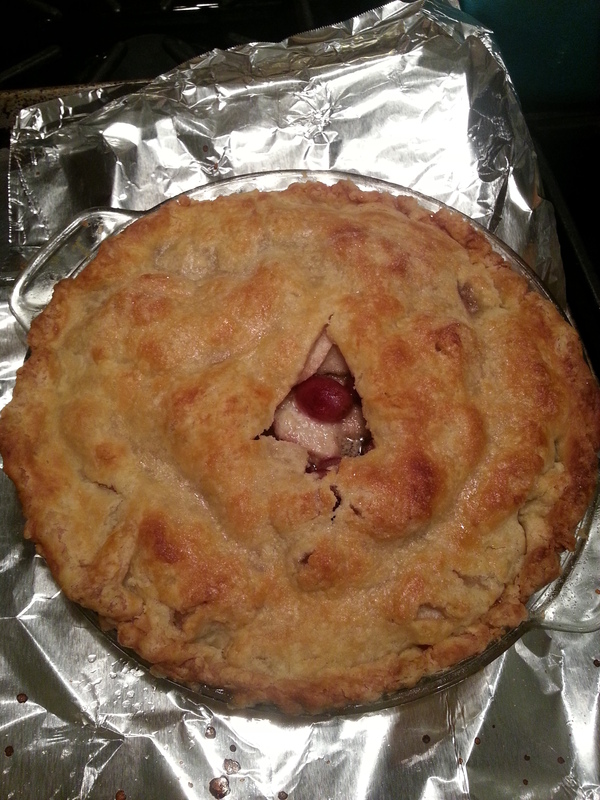 Create a vent on top either by scoring the pie or by creating a design. I opted for a Christmas Tree vent. Brush with milk and sprinkle with remaining 2 teaspoons of sugar. Bake for 1 hour and allow to cool for at least an additional hour. If the pie crust begins to darken too quickly, cover the edges with foil. I opted for a contemporary Christmas tree vent. It was even more watery. I had to drain it a bit. Once I made my sweet tooth happy, I, shockingly, was in a way better mood to cook! 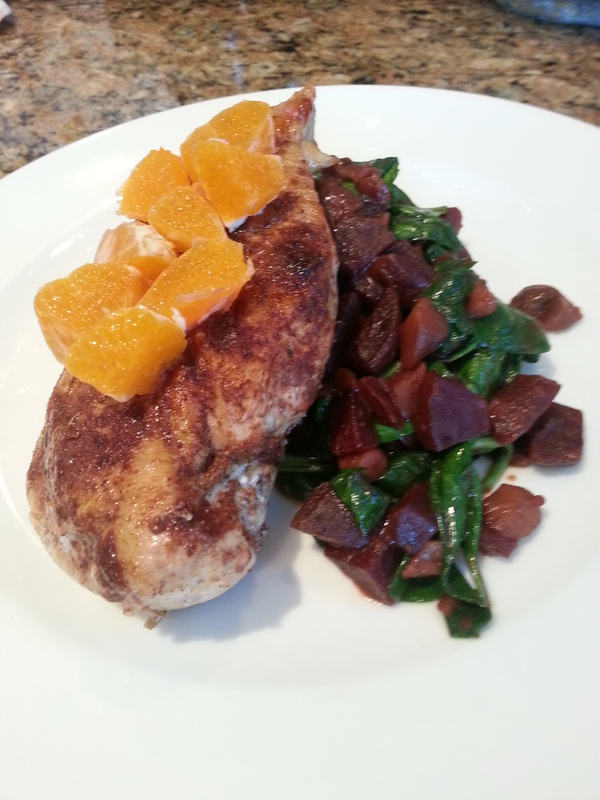 With the remaining ingredients I created an entrée and a side dish that is so easy to make any night of the week. I usually am not a fan of chestnuts, but I LOVE them in this recipe. And I love beets, but they can kind of be a pain if you buy them fresh. I felt like I was cheating by having the beets peeled and steamed for me! No grabbing surgical gloves to avoid the red stained hands! Awesome! Sprinkle Five-Spice, cayenne, and black pepper on chicken breasts. Add about a tablespoon of peanut oil to a skillet and heat to medium-high. Once the pan is nice and hot, add chicken breasts. Once one side is seared, flip and sear the other side. Once seared, reduce the heat to about medium to medium-low. Cover the skillet with a piece of foil. I prefer foil over a lid because it allows steam to escape and the chicken breast maintains the sear. Continue cooking until the chicken is at least 165 degrees, approximately 20 minutes. I always cook mine a little longer just because I like chicken that way. And if you properly seared it, it will remain juicy (unless you let it cook for an hour;). Once chicken is fully cooked, remove from pan and keep warm. In the same skillet, add another tablespoon of peanut oil, orange juice, soy sauce, rice vinegar. Add chopped chestnuts and chopped beets. Stir all ingredients together, loosening the chicken bits on the bottom of the skillet. Increase temperature to medium-high and bring to a boil. Once a boil is reached, reduce heat and simmer for about 3 minutes. Add spinach and gently toss until the spinach is wilted. Place a nice amount of the chestnut mixture on a plate and top with a chicken breast. Serve with a side of Baby Mash Potatoes, and call it a night! I love these Baby Dutch Yellow Potatoes. The roast so nicely! I received the same potatoes from Melissa’s during the last challenge, and I couldn’t resist preparing them the same way, but I had to mix it up a little! Rinse and dry the baby Dutch Yellow Potatoes. I halved the potatoes lengthwise, and place in a mixing bowl. Drizzle olive oil over them (about a Tablespoon or so), and sprinkled them with fresh ground pepper and some salt. This really is about what you like. As I mentioned in the previous post, I like a lot of pepper and not too much salt, so I would suggest eyeballing it. Just remember you can always add more after they have roasted, but you can’t take any away! Place them on a parchment-lined baking sheet, cover them with foil, place in a 425 degree pre-heated oven, and wait until they have softened. Ovens can vary, so check them after about 20 minutes. Once they are soft, remove the foil cover and place them back into the oven. Roast until they are the golden color you prefer. Make sure to flip and move the potatoes around once while they are browning. This step will take about 20-30 minutes, depending on your oven. Once they are browned to your liking, set them aside to cool. 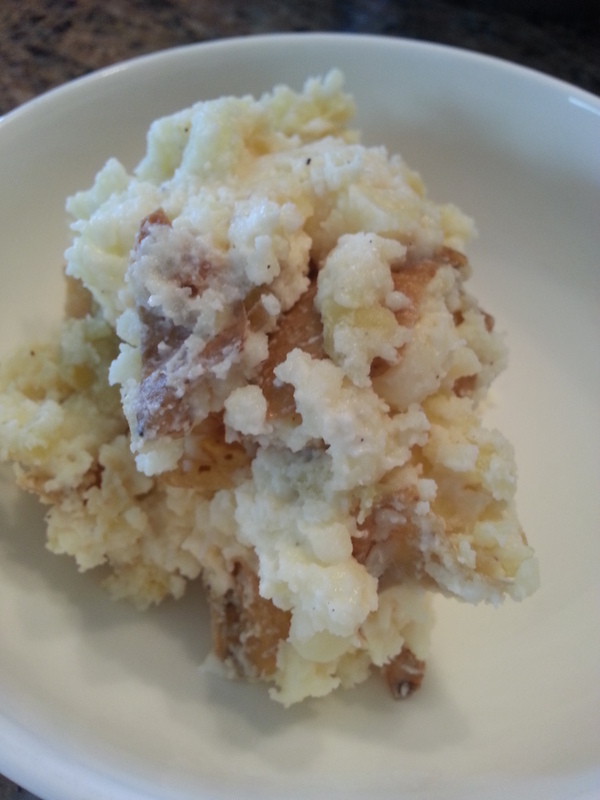 Simply reheat the potatoes in a microwave until heated through. This was another fun challenge, and I can’t thank Melissa’s enough for the ingredients provided. Even though I received free stuff, all opinions are all mine! I can’t wait to see what other Food Bloggers created with these items! And I look forward to using the cookbook, but that might have to wait until after Christmas! In case I can’t write again before the Holidays, I hope everyone has a fun, safe, and memorable eating experiences! Looking forward to writing many more posts in 2015!